VELA Colectivo's photographic and written work — and that of its individual members — has been featured in numerous Colombian and international publications. Colombia Hidroituango dam: 'The river took my house'. 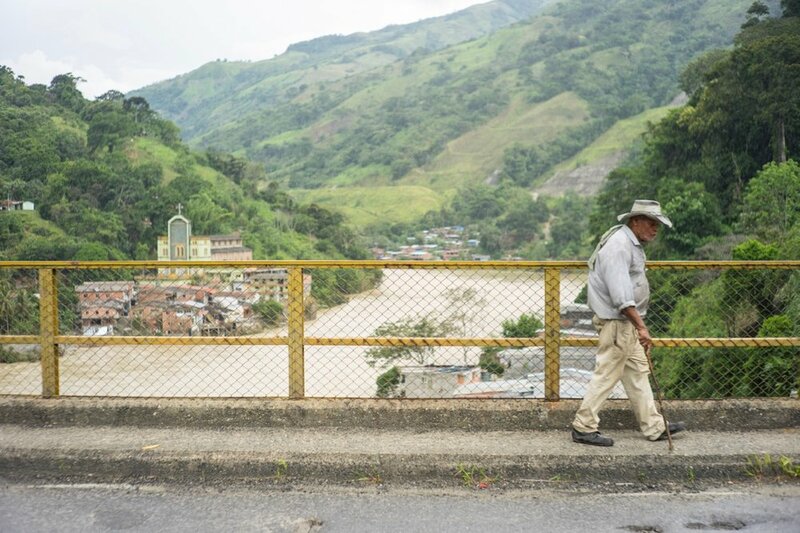 Puerto Valdivia is just one of the communities affected by a series of emergencies which have hit Colombia's largest hydroelectric dam project, Hidroituango. Tens of thousands of people living downstream from the dam have been evacuated and the emergencies just keep coming. A three year old girl was recently killed in Ituango, Colombia, when a grenade exploded at her home. The target of the attack was the man in the neighboring house, alias "Shakiro", a local member of the Clan del Golfo cartel. See full story here (In Norwegian). Between the Army and the armed groups: the crossroads of the coca growers in Ituango. The campesinos who survive from farming illicit crops in this municipality protested the delays in the substitution process. How do you fight coca without risking your life? See full story here (in Spanish). 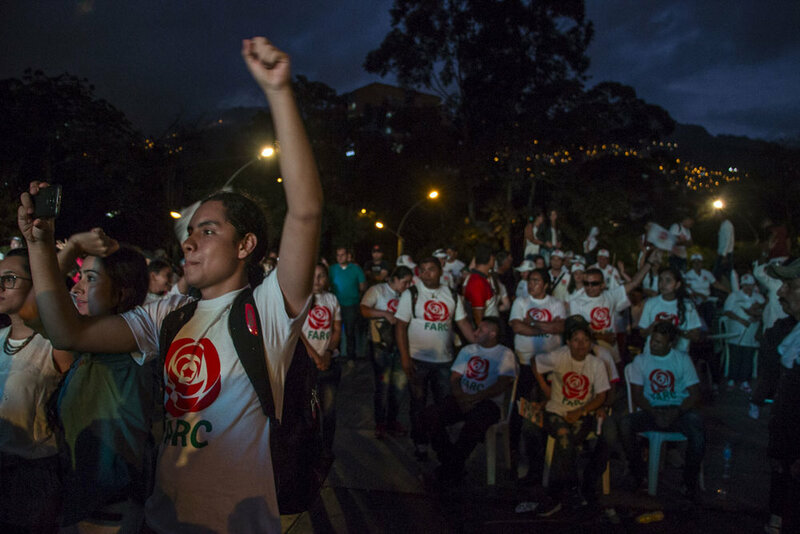 Elections, a First for the FARC, Will Test Colombia’s Democracy and Its Peace Deal. On March 11, Colombians vote in what could be the biggest test of the country’s democracy in decades. For the first time, the now-demobilized Revolutionary Armed Forces of Colombia, or FARC, will compete at the polls as a newly formed political party. Crop substitution aims to swap out the crop that funded rebels' decades-long fight with the government. But farmers say lasting success will take more than new seeds: new infrastructure, better public services, and tackling the root causes of the conflict. 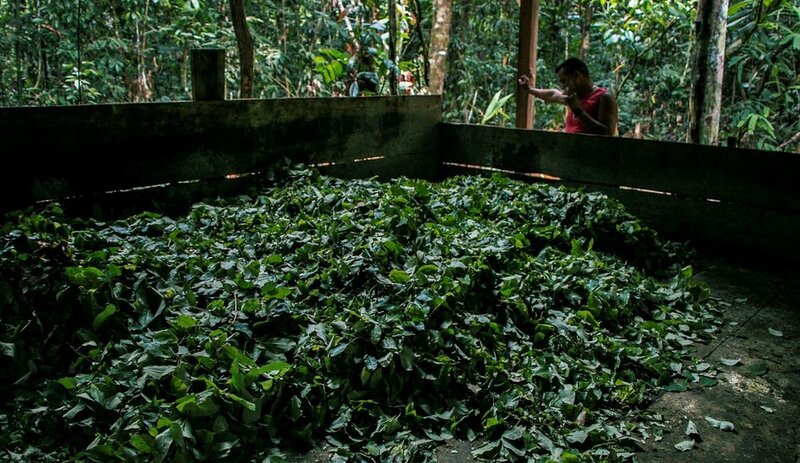 Colombia: Searching for an alternative to coca. In the remote region of Putumayo in southern Colombia, the economy depends almost entirely on one thing: coca, the raw ingredient for cocaine. As the guerrilla group, the Farc, gives up coca, weapons and land in Colombia, criminals move in. Perched on a hill above the tiny village of Carrizal in northern Colombia, the camp that was supposed to be housing 300 guerrilla fighters is nothing more than a wooden shack surrounded by a muddy field. Colombia peace deal: Left in limbo as Farc rebels fail to show. Hector Moreno and Eumenia Acosta's farm should have been filling up with rebels on 6 October. Santa Lucia FARC "Transition Zones". Tucked deep into the Andes, the village of Santa Lucia in the municipality of Ituango has been chosen as one of the 20 "transition zones" where rebels from the left-wing Revolutionary Armed Forces of Colombia (Farc) will disarm after more than 50 years of conflict. A Colombian Recipe for Peace and Reconciliation. Elcielo, in Medellín, stands out for more than the quality of its food. One of Latin America’s top 50 restaurants, it has also become a symbol of Colombia’s efforts to return to normalcy after more than five decades of conflict. For the past seven years, elcielo for Everyone, the foundation established by restaurant owner Juan Manuel Barrientes, has been offering cooking courses and employment opportunities to wounded army veterans. The continued destruction of Colombia’s largest wetland. Designated a UNESCO Biosphere reserve and a RAMSAR Protected Wetland, the "Cienaga Grande of Santa Marta" in the coastal state of Magdalena has been both a battlefield of Colombia’s decades-long civil war and for environmental issues that continue to affect a regional population who depend on it for their livelihoods.